Let's face it – playing dreidel is probably the closest thing to ancient kosher gambling. It takes skill and savvy, and that little kiss that you blow onto the dreidel cupped in your hands can make all the difference between a gimmel (getting all the pot) and a nun (getting nothing). 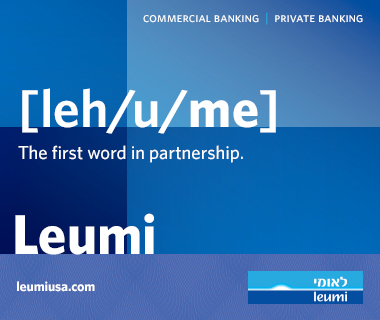 I was enamored with the official game and would play it all the time in my Hebrew School days. My friends and I would have contests to see whose dreidel would spin the longest (I think my record was 45 seconds). Around fifth or sixth grade the game became pretty lame, but I was back to the dreidel circuit during my college years, though that's a whole other story. My kids (ages 14, 11, 7) are big fans of this seasonal game of chance. Although they have mastered the art of the upside-down spin, it’s the access to parent-sanctioned candy that keeps them playing the game year after year. In fact, they will keep playing it through the winter and into the spring. I'm guessing it’s the chocolate coins that keeps them playing and not the feeling of being historically connected to our ancestors who played the game when Greek soldiers would pass by. 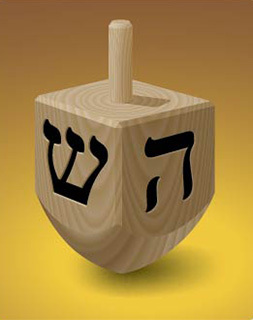 I think the dreidel is one of the best Jewish symbols ever. Its size and function impart valuable lessons. I identify and navigate through many different social (and social media) circles during the day. A dreidel is small enough that if I were to put it in my pocket for a day, I think it would remind me that there’s another circle that I’m intrinsically part of. No matter how many times we spin the dreidel it will always fall down on one of four sides. The outcomes are often this way in life. Sometimes we gain everything we want and sometimes we gain nothing. Sometimes we have to compromise and give up our half of what we want and sometimes we all have to pitch in a little of what we have for the greater good. Regardless of what side out dreidel lands on, we can always pick up the dreidel – and ourselves – so that we can continue trying to win the game.